With the first few nights of cool, crisp air arriving at last, it’s clear that autumn is on the way. As we begin preparing our gardens for winter, doing yard work and cleanup, it’s also a great time to refresh patio and front porch planters. 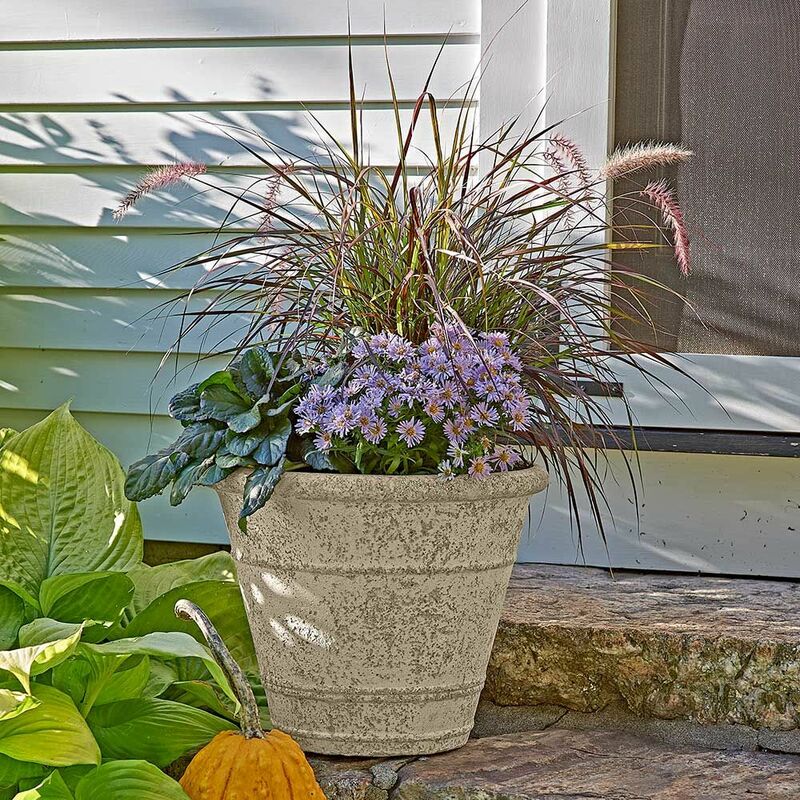 The fall season comes alive when using colorful combinations to provide an extended display of vibrant blooms and richly textured foliage that will last right up until frost. 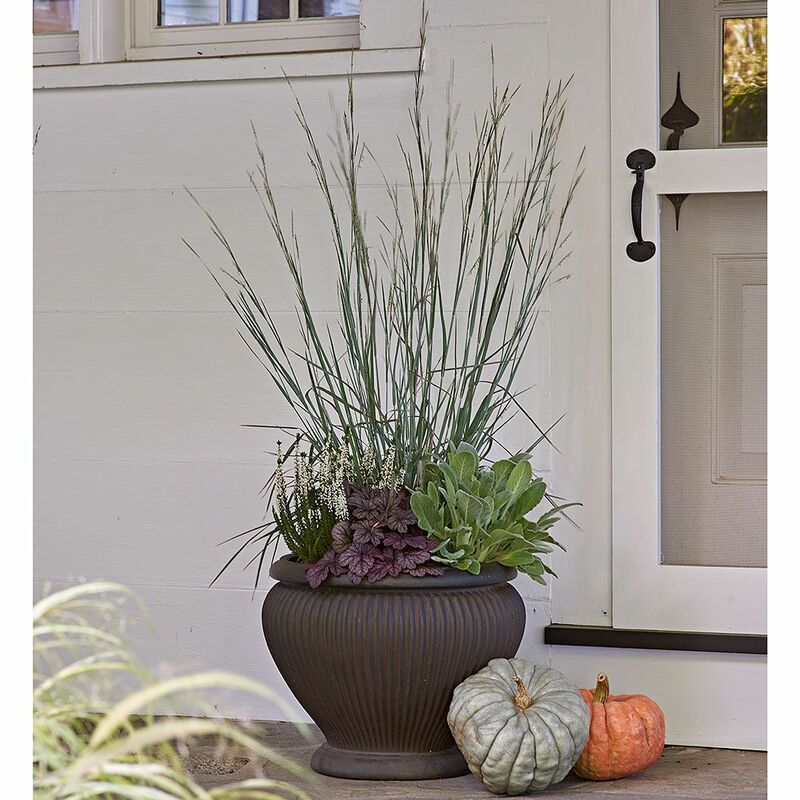 Spruce up your outdoor spaces for fall festivities and harvest-time holidays including Halloween and Thanksgiving. 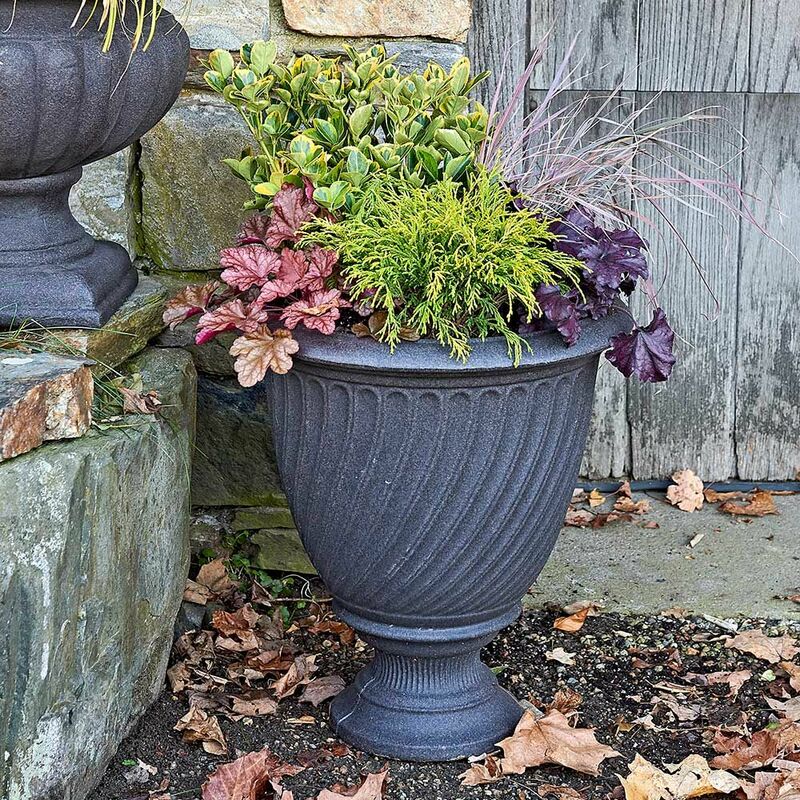 Pictured below are our new fall container plantings. 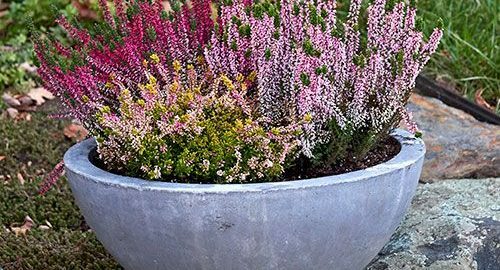 You may order any of them through our website, or use them as inspiration to create your own fall container plantings. Purple Fountain Grass sends up a burst of burgundy foliage followed by a spray of flower spikes in late summer and autumn. It creates a breezy canopy over the single daisies of an Aster and the bronzy purple foliage of an Ajuga. 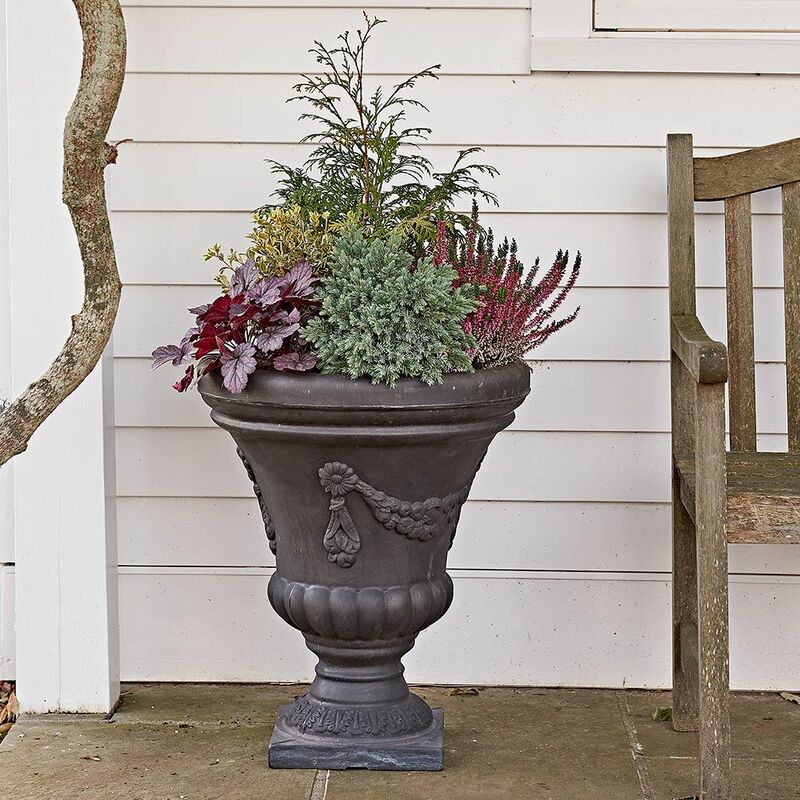 Anchored by evergreen Arborvitae ‘American Pillar,’ our handsome autumn collection features rich, beautifully textured shades of burgundy Heuchera, blue Juniper, variegated gold-and-green Boxwood, and rosy red Calluna. The blue-green flower spikes of an Ornamental Grass stand tall just in time for an autumn show. Supporting the display are the silvery felted leaves of a Stachys, the frosted maroon leaves of a Heuchera, and the white flower spikes of a Calluna. Set the stage for fall with our easy-care combination of 3 harmonious companions. 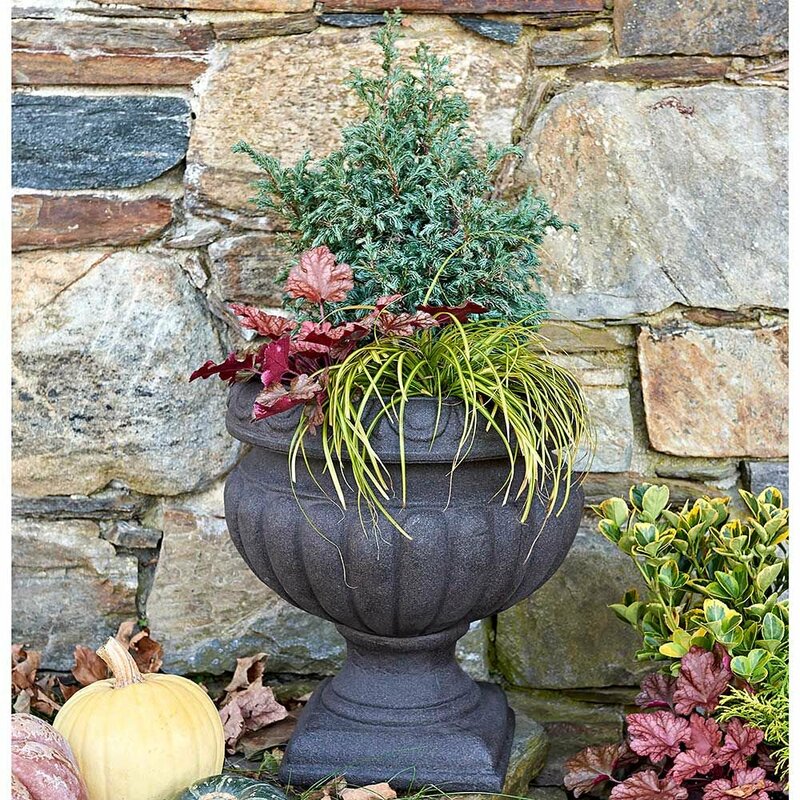 Sure to draw the eye is False Cypress ‘Boulevard,’ with striking blue foliage that serves as a colorful backdrop for the richly hued leaves of Heuchera ‘Peach Flambe.’ Cascading from the pot is Ornamental Grass EverColor® ‘Eversheen,’ each green blade highlighted by a central yellow stripe.